Grange Park now officially a Centenary Field and the Eggstravaganza 2017! This year's Easter Eggstravaganza was our most successful yet, raising over £3,000 towards further improvements to Grange Park with the support of the Old Coulsdon Cupcakes W.I., the Under 3s Club, the ATC Cadets and many other volunteers who baked, face-painted and helped to man the stalls. 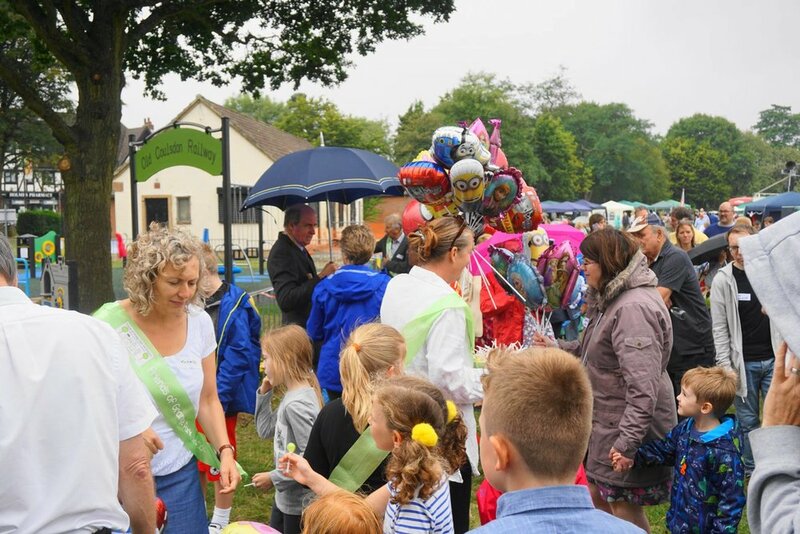 The Eggstravaganza was preceded by the official dedication of Grange Park as a Centenary Field by the Deputy Mayor Toni Letts, who has been tremendously supportive of the Friends' efforts to improve Grange Park. This initiative, led by Fields in Trust, means that Grange Park will be protected in perpetuity for recreation, and can never be built on. This is a huge achievement for the Friends, and Grange Park is the only park in Croydon to be accredited under this initiative. 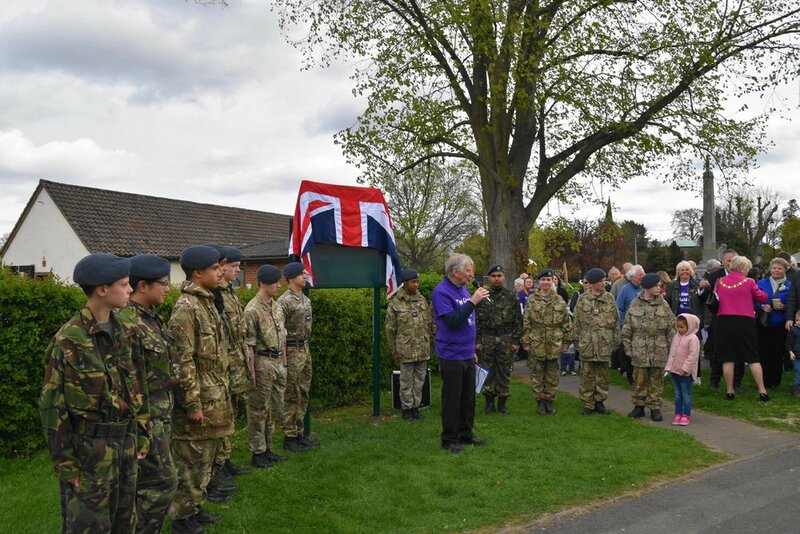 Dedication of Grange Park as a Centenary Field! More information coming soon, but this year's eagerly awaited Easter Eggstravaganza will follow a short ceremony starting at 10.45 a.m. at the War Memorial to dedicate Grange Park as a Centenary Field, in commemoration of all those who lost their lives fighting for our country in World War I. This is the culmination of a several years' hard campaigning by the Friends of Grange Park and supported by our local councillors under this initiative led by Fields in Trust, which will mean that Grange Park will forever be preserved for recreation in our community, and CANNOT BE BUILT ON. Grange Park is the only park to be dedicated under this initiative by Croydon Council, and we are grateful for their support in safeguarding this treasured area of green space. We hope you can join us for this short event, and celebrate the Friends' efforts. A happy new year to all who have supported the Friends of Grange Park's efforts over the last two years. 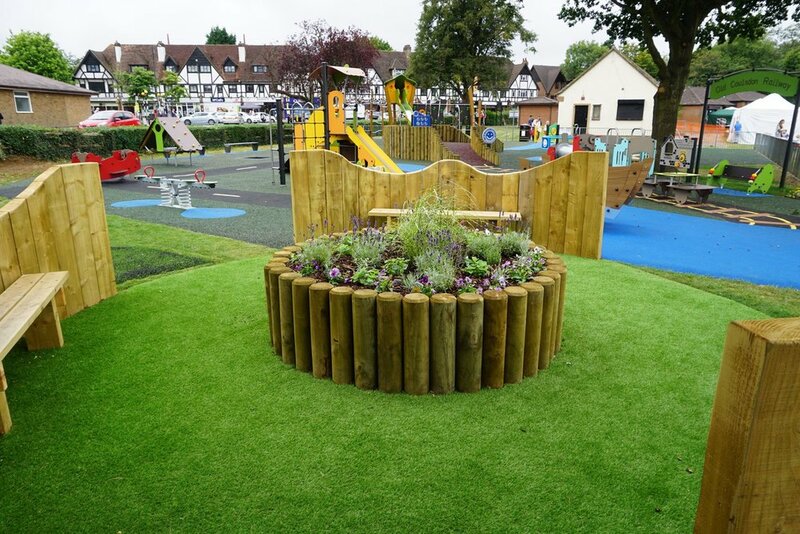 2016 was a phenomenal year for Grange Park with the installation of a brand new, state of the art playground for the community of Old Coulsdon. Thank you to everyone who helped us to achieve this milestone by attending our events or even sponsoring a piece of equipment in the new playground! 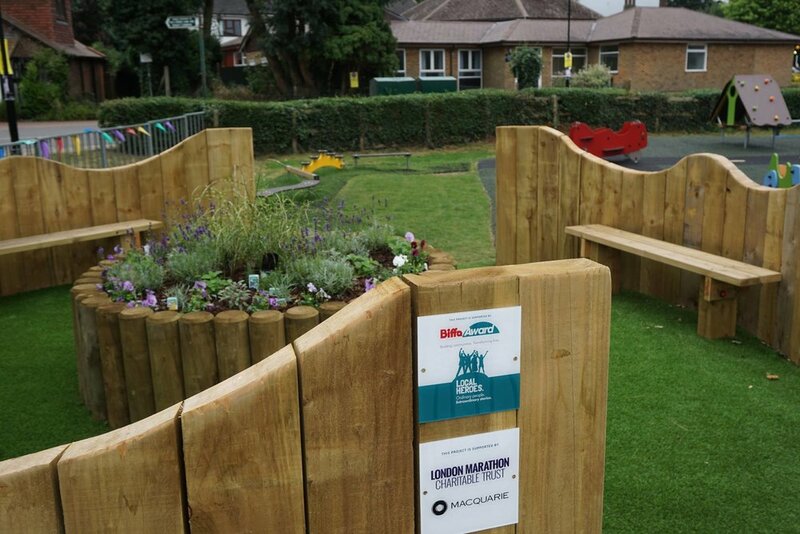 Every one of your actions counted towards the success of our new playground. Before the trustees knuckle down to consider the next phase of improvements to the park, a date for your diaries- the Easter Eggstravaganza is back by popular demand for the third year running and will take place on Saturday April 15th 2017. More details coming soon, but we hope to see you there. 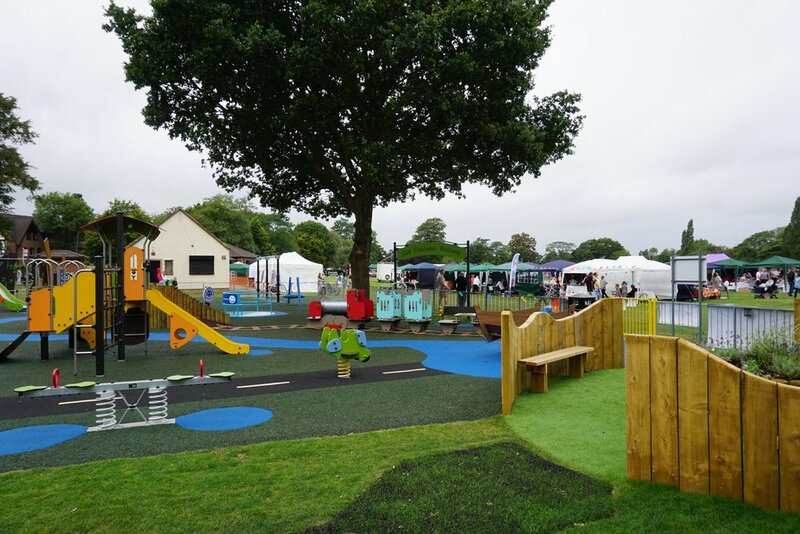 Please take a minute to let us know your thoughts on the new playground and any future improvements you would like to see to Grange Park. 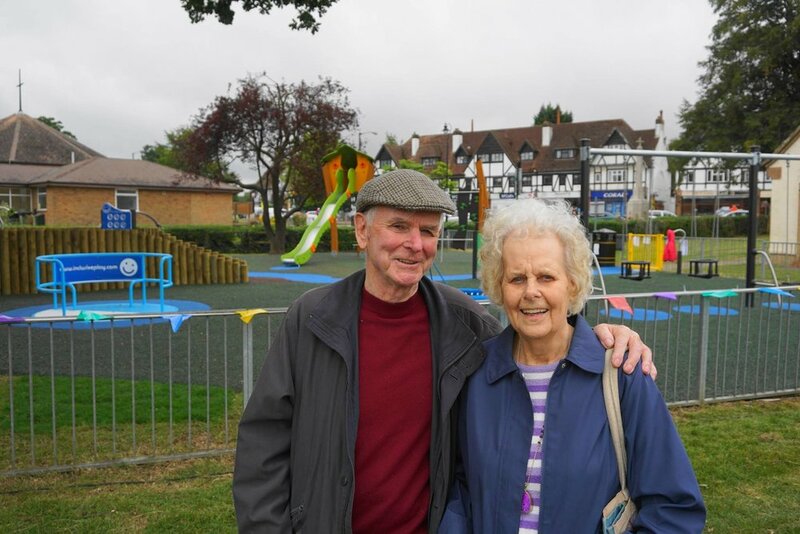 Our funders want to know what the community think of our new playground (and therefore how successful the Friends' have been in delivering this project). 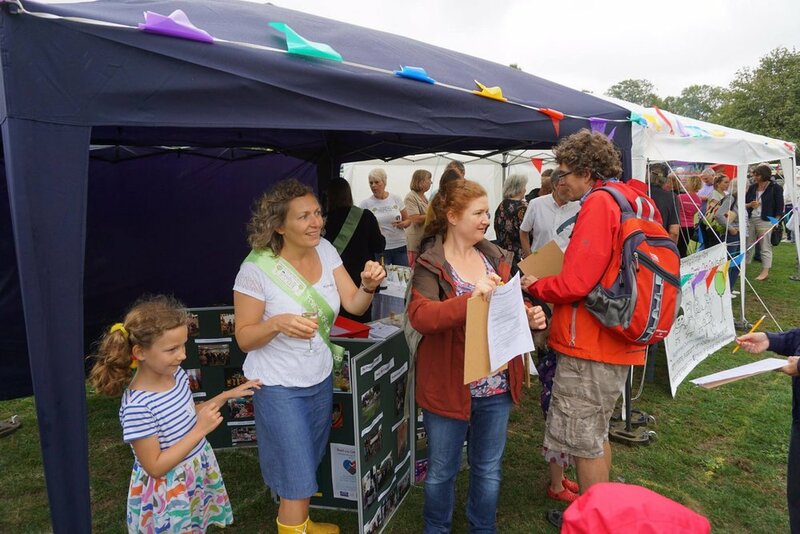 Also, we want to know about your priorities for the future of Grange Park so that we know how to invest any further income from our fundraising efforts. Spirits high at the opening event for the new playground! 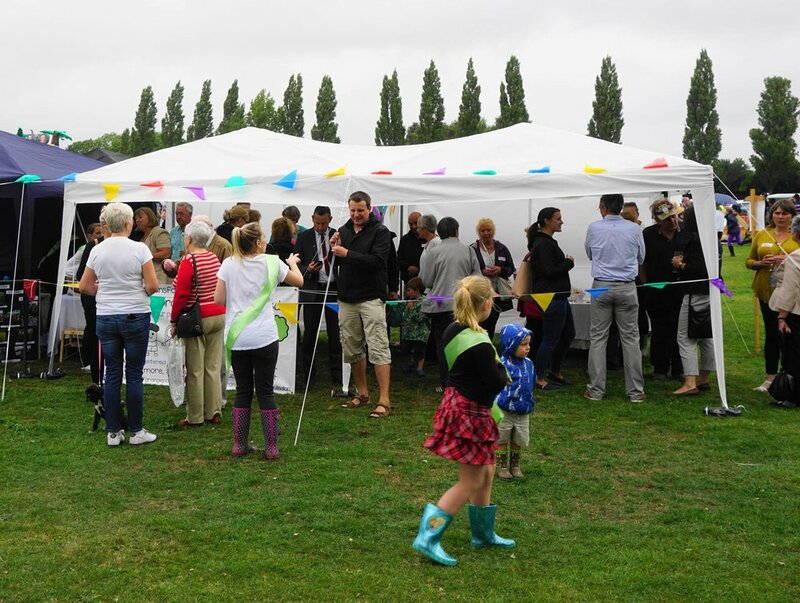 We weren't blessed with the greatest of weather for our opening event, but it was a remarkable success with hundreds of members of the community including many of our sponsors braving the wet and wind to celebrate our achievement. 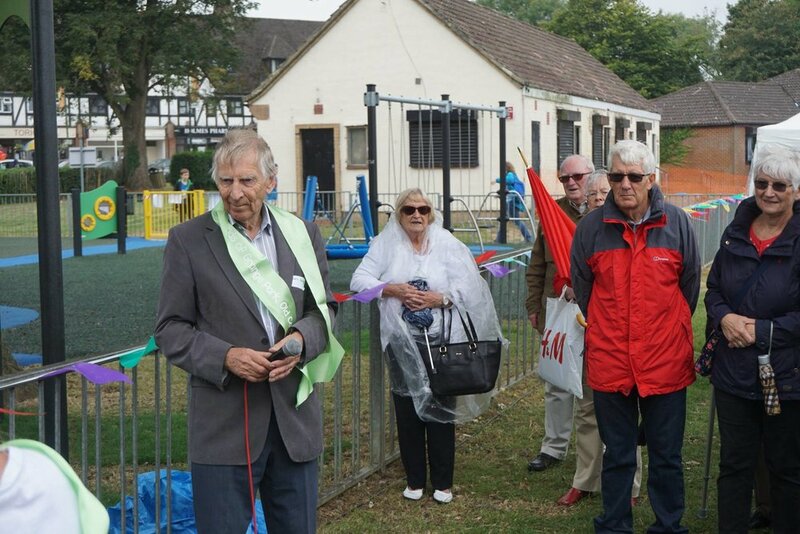 We hosted a hospitality tent for our sponsors, and at 12.30 p.m. Chris Wright (Chairman) and Hannah Price-Harries (Vice-Chairman) gave speeches before local children released balloons into the sky to mark the official opening of the new playground. 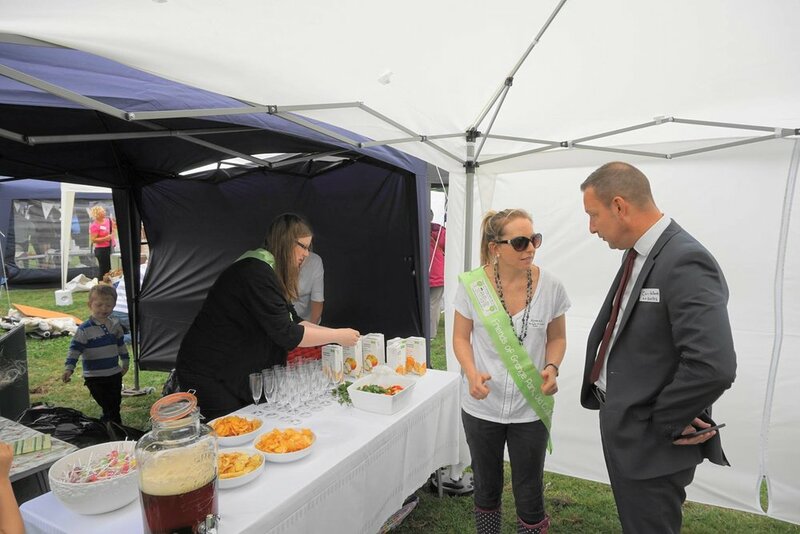 A tremendous day for the community of Old Coulsdon!